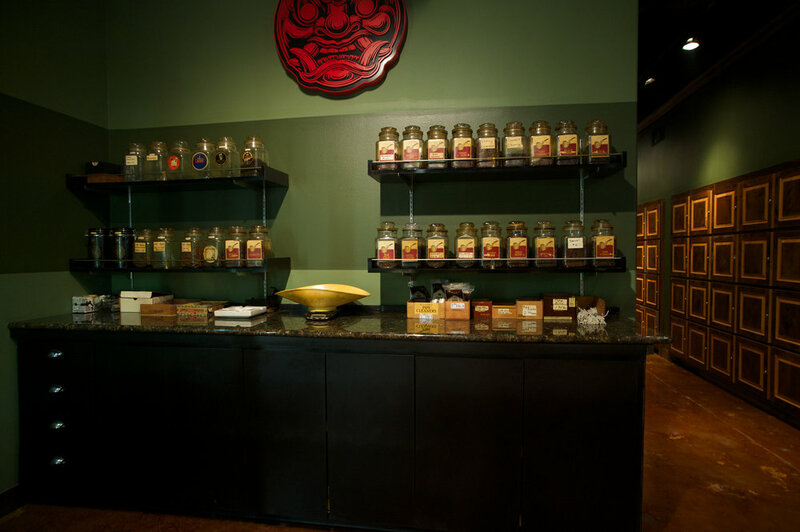 More than just an extensive humidor, The Smoke Ring is the premier cigar lounge experience. 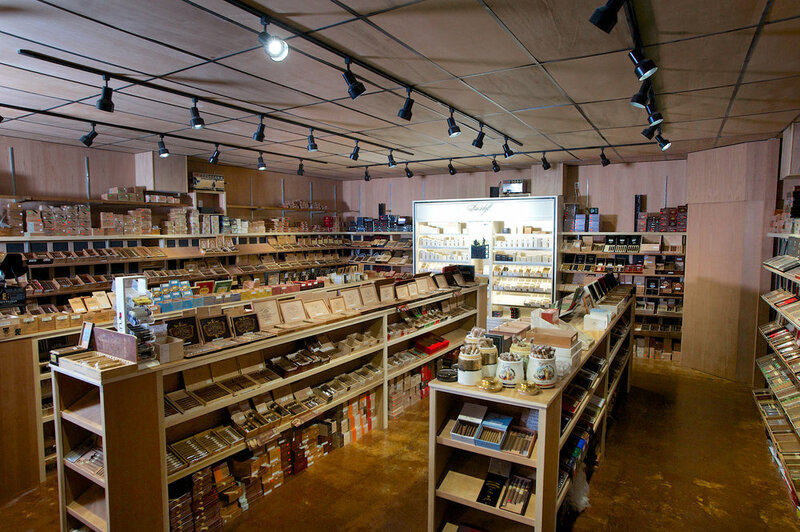 For over twenty-one years, The Smoke Ring has sought to provide exceptional service to our patrons, sharing our love of premium cigars and pipe tobacco. Whether you are new to cigars, seeking out a gift for a loved one, or are a seasoned aficionado, our knowledgable staff aims to meet your needs. 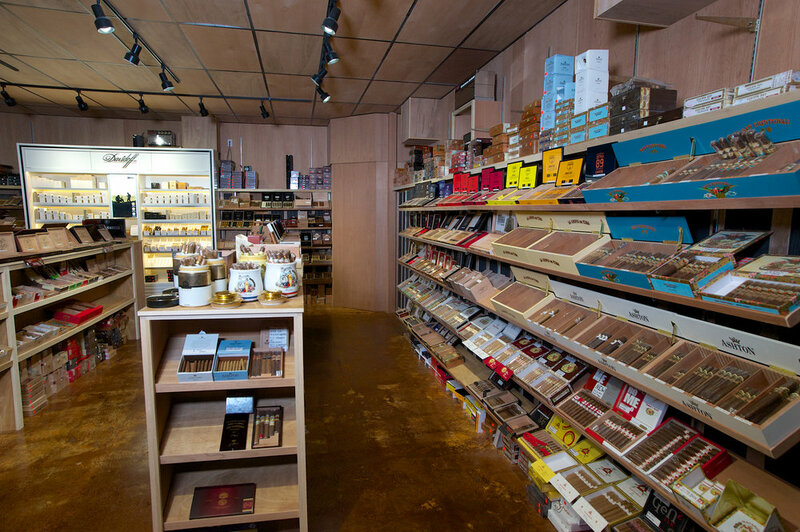 Within our well-stocked humidor, we offer traditional mainstays found in every established cigar shop as well as many exciting boutique brands. 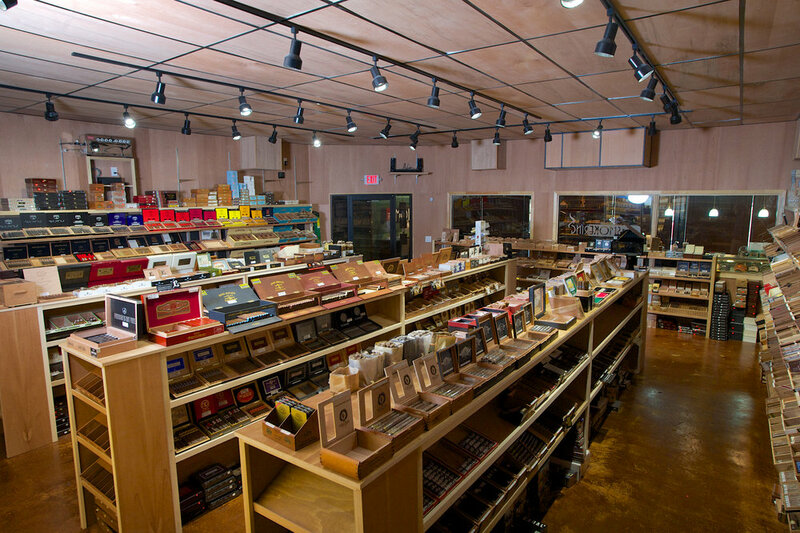 In addition to our cigar selection, we also provide a range of pipe tobaccos, briar smoking pipes, humidors, lighters, and accessories. 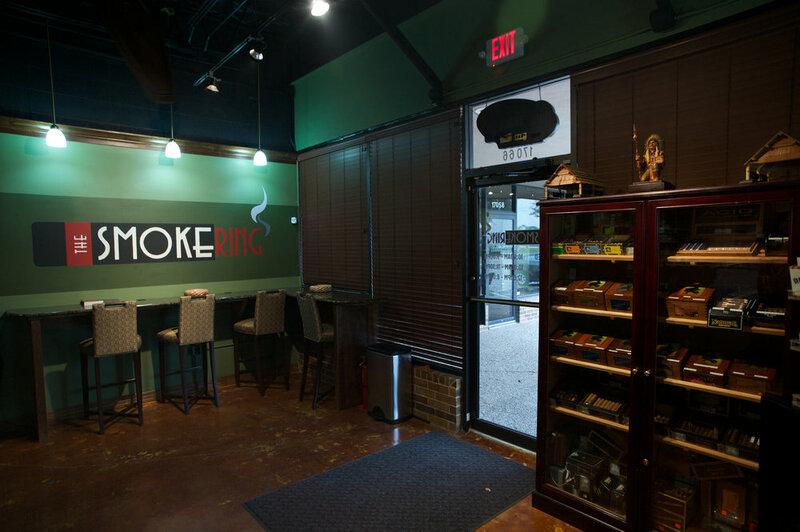 The Smoke Ring is a non-membership cigar lounge, equipped with comfortable plush lounge chairs and four TV screens; please, feel free to come pick up a cigar and relax with us. For customers looking to become an extended member of our community, we offer an annual on-site locker service. As an extension of our gratitude, The Smoke Ring offers an Active Military and First Responders discount. Please, enjoy 10% off of every purchase at The Smoke Ring as well as 15% off of box purchases.